Click on a segment to magnify! On the magnified segment click on a dot to reach the page containing the transcriptions of all the deliberations related to that part of the city. 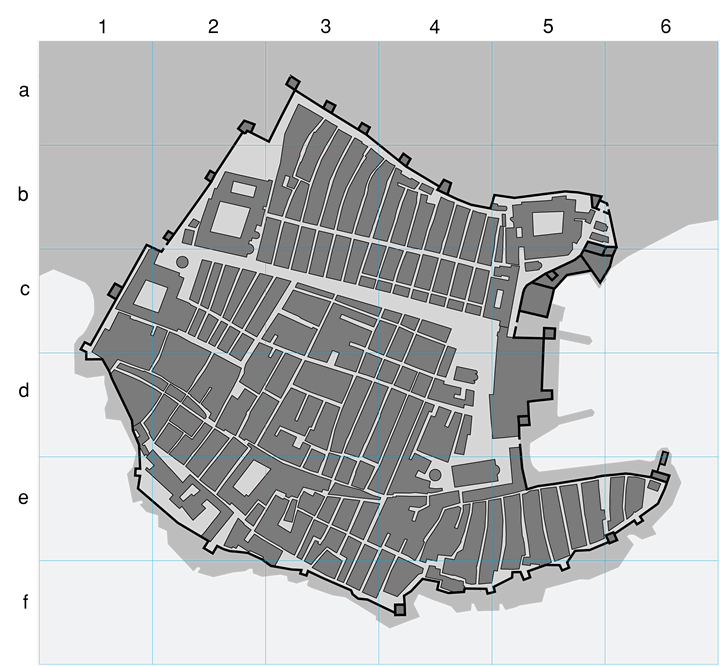 The map presents the state-of-art at the beggening of the project implementation concerning the urban development of the city in the first half of the 15th century. It was made in the Architectural Department of the Institute of Art History under supervision of Danko Zelić. deliberations of the city’s councils that are related to the larger areas of Dubrovnik or with no enough information for determining location of buildings.